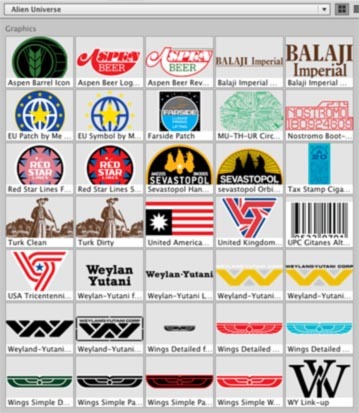 Created the WeylanD-Yutani Corp logo from AlienS. And the WY stencil from the background. And a Sevastopol patch. And a UPC code for my Balaji replica project. Tweaked my Confed seal from Robot Jox to be more accurate. Thanks to a boatload of new pics of the BR Blimp, I added a graphic to my BR library. It’s for a color film company. Japanese of course. Which are hard to see at this scale…. Got some more work done on these today. Finished my apocryphal tax stamp. 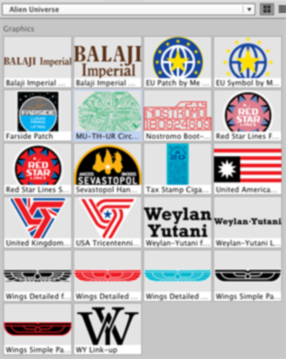 Replicated a Sevastopol patch. Replicated an unused graphic by Moebius. Finished the MU-TH-UR circuit pattern last night. 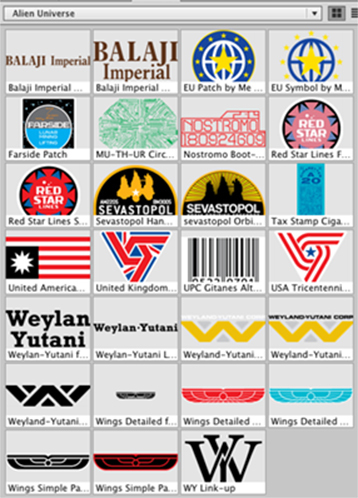 Added the “Weylan-Yutani” stacked wordmark from the beer can. Made my own horizontal version of same. Did some guess work and tests on ‘populating’ my Balaji box with text. By which I mean: what does this look like? Looks like a long word and a short word. What could that be? Does XYZ fit here? Does that look like caps and lowercase or caps and small caps? What would a cigarette pack likely say here? What should be on it? UPC code? If so, where? What sides do we not see in the film? 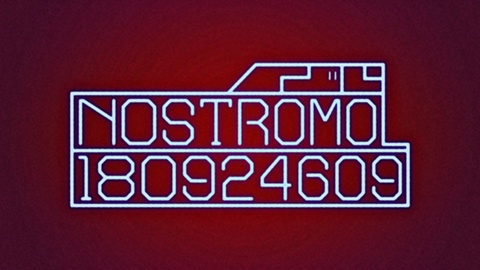 Etc, etc… Also tweaked my Nostromo boot-up screen to look more like low-res video. Added noise, etc.